I have a Passion for Fashion, and have been Styling Clients since 2007 for Special Events,TV Shows, Pageants, Birthdays, Custom Designs, and more. Now that our customers are older, we are focusing more on our Favorite Women's items. We are listing Beauty and Fashion items that are Trending and Popular. We also search for the best prices and sales for our customers. 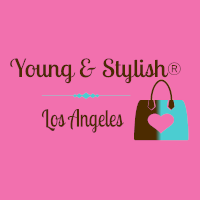 Our Young & Stylish® Ebay store has gently used girls clothing. Follow us on our social media pages, we are adding great items daily. If you see anything on any of our Social Media sites that you would like, or are looking for something in particular, please contact us and we will try hard to find it for you. Thank you for shopping here, we appreciate your business.